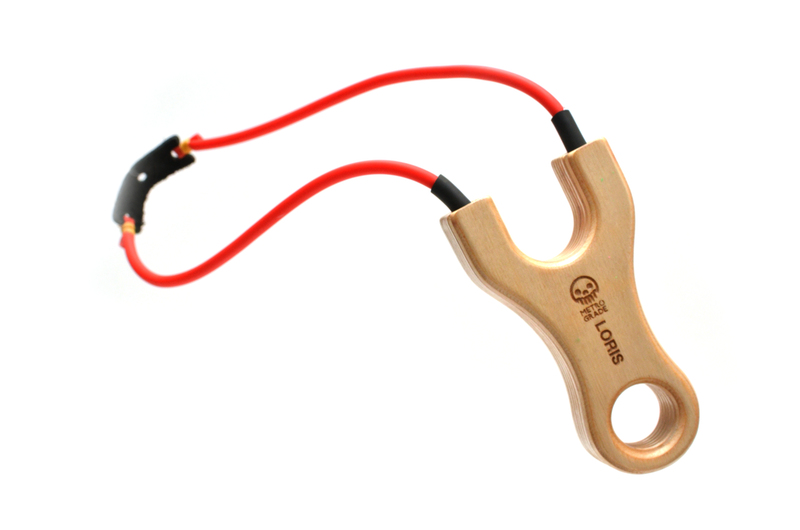 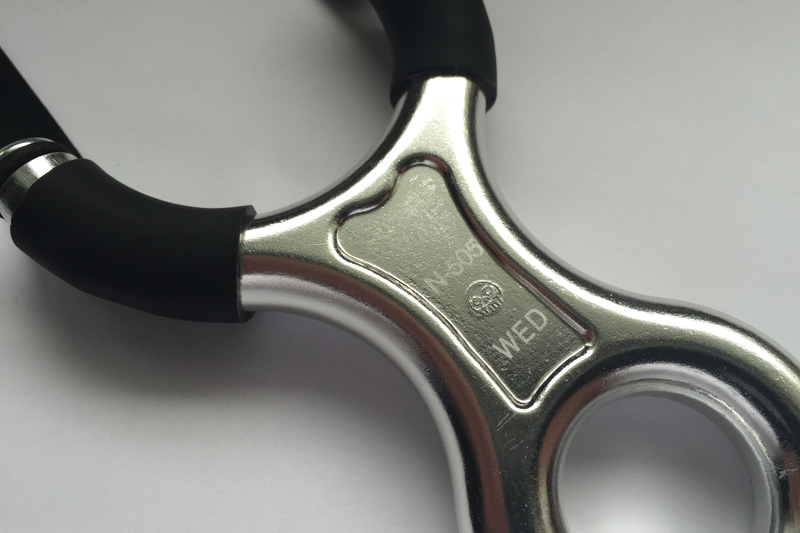 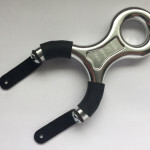 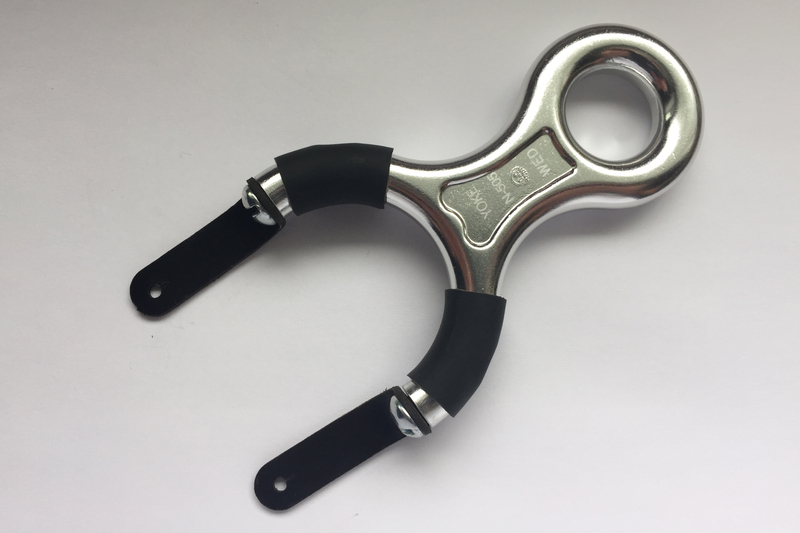 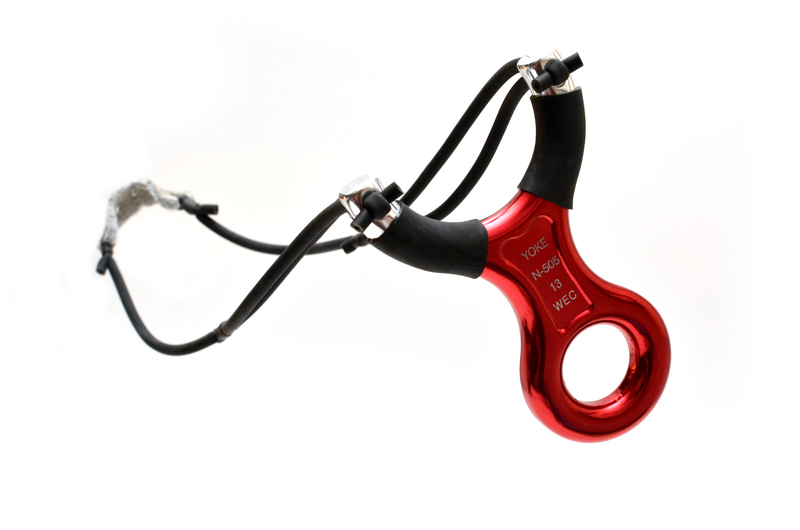 Machined from a rock solid Figure 8 climbing descender, the Tapped Tab Figure 8 Slingshot is a solid aluminum slingshot designed for rough use. 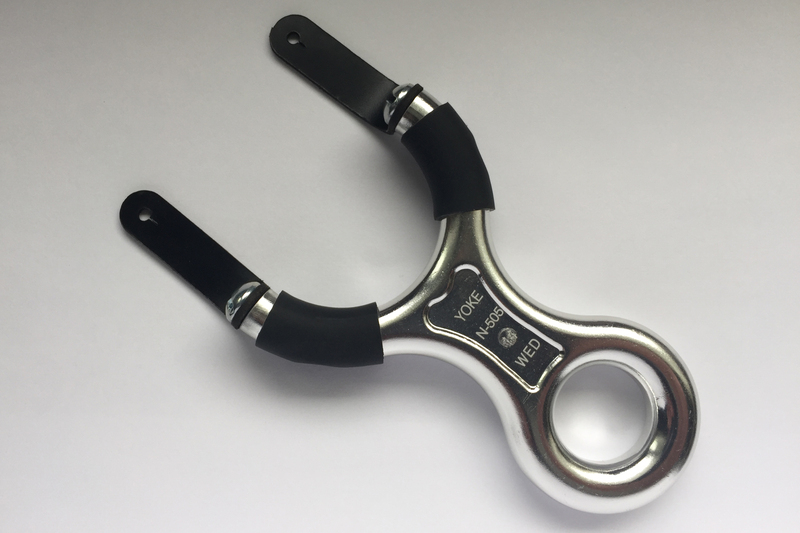 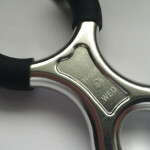 The tips have been carefully drilled and tapped with 1/4-20 threads to accept a pair of stainless steel screws to hold down leather tabs for attaching bandsets. 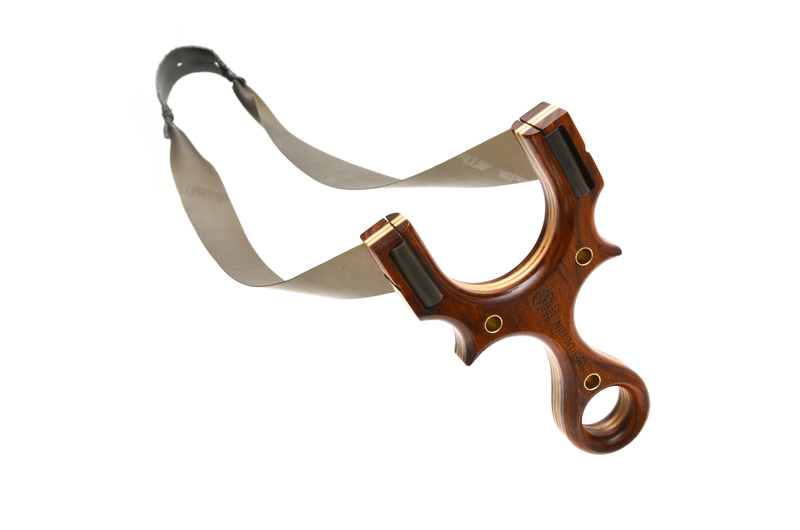 The finger and thumb grips are courtesy of genuine Dankung 5080 tubing, providing proper cushion and frame ergonomics. 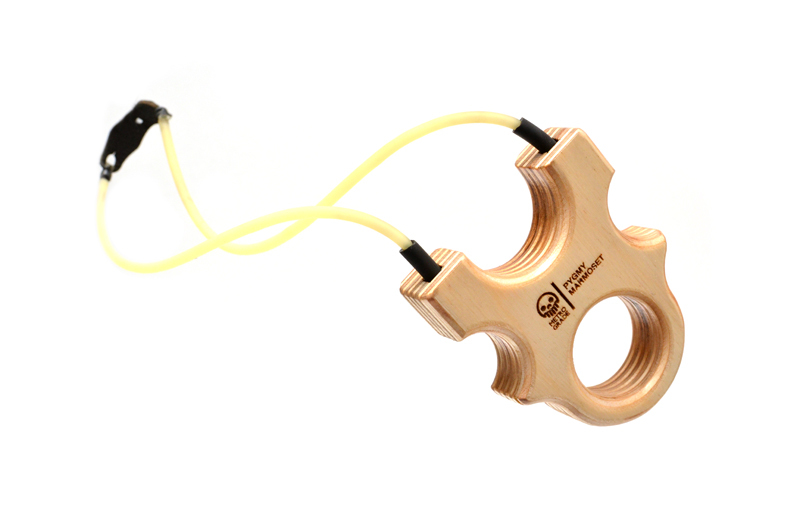 Will ship with a set of boot leather tabs and a set of Dankung 1632 tubes with a cowhide leather pouch.